Cut here. 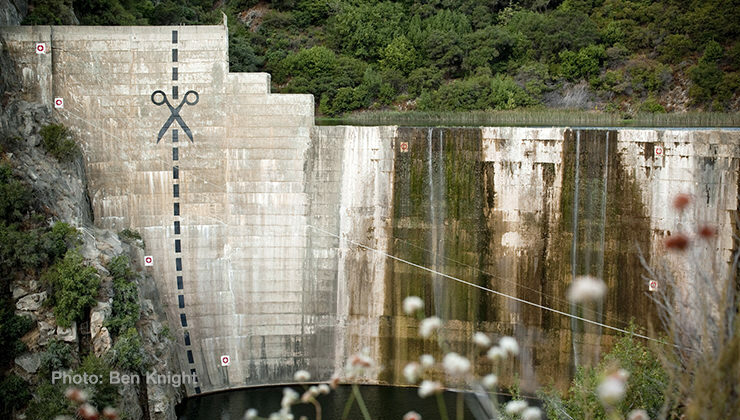 Matilija Dam continues to block endangered steelhead trout and degrade the entire watershed and surrounding public lands. Photo by Matt Stoecker, DamNation. 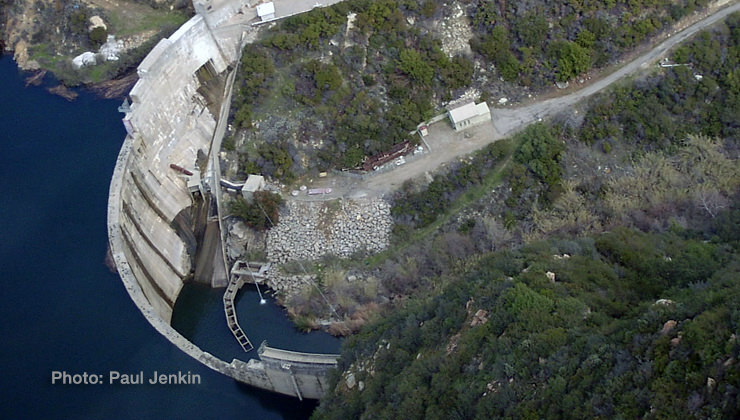 On March 17, 2016, the Matilija Dam Design Oversight Group reached consensus on a plan to remove Matilija Dam by flushing sediment through low level outlets. Recently completed studies show that natural transport is the most cost effective means of sediment management, and has proven success at Condit Dam in 2011. 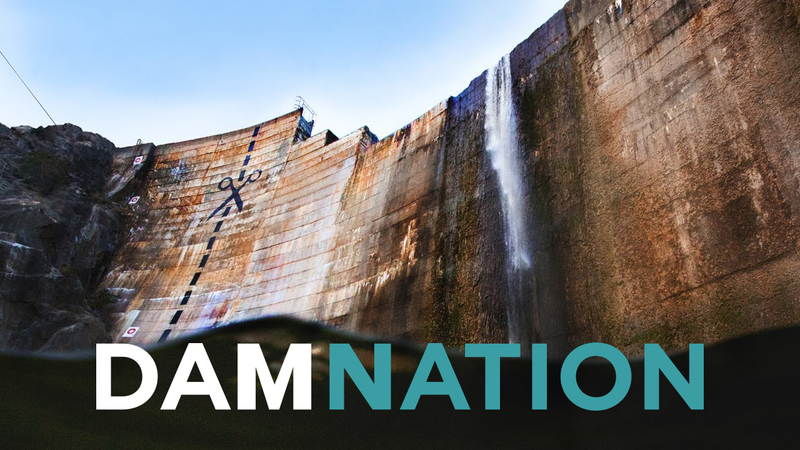 Aside from telling the story of our endangered salmon runs and the recent large dam removals, the film is a must-see for anyone with lingering curiosity about the scissors on Matilija Dam!